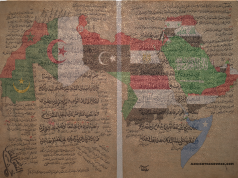 The Middle East and North Africa (MENA) have a long history of tattoo art. Once considered a sign of beauty, its popularity declined in many regions because of negative social stigma and the fact that Islam prohibits tattoos. Recently, young Arabs have begun to embrace tattooing once again, and they are changing people’s perception of tattoos. Although there is not much evidence of tattooing in ancient Egyptian writing, iconography and physical evidence of the practice date back at least 4,000 years. Tattooing in ancient Egypt was practiced mostly on women, unlike in societies in other parts of the world. Archeologists unearthed the remains of a 25 to 34-year-old Egyptian woman who lived between 1,300 and 1,070 C.E. a few years ago in Luxor. She may have been a well-respected given the number of religious tattoos that covered her body. She had more than 30 designs all over her body, some of which were believed to have healing properties and provide protection from illness. Although the significance of these tattoos and the religious status of the woman are a source of debate, scholars have conducted substantial research to understand the significance of religious symbols in Ancient Egyptian society. Such symbols have been found on many female remains. In more recent times, Bedouin and Amazigh women have also had a long tradition of tattooing certain parts of their bodies. 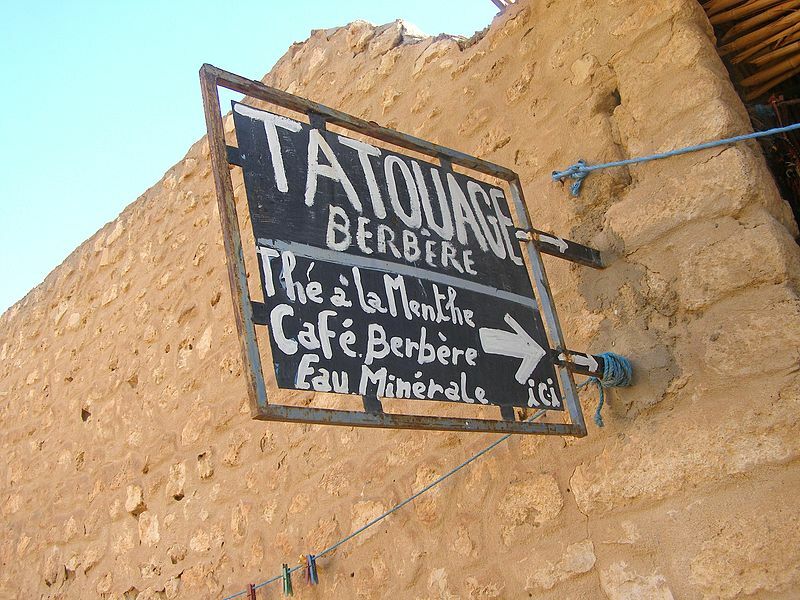 In the Middle Atlas mountains of Morocco, for example, many Amazigh women were tattooed as a coming-of-age ritual. These tattoos usually consisted of lines, dots, triangles, and circles that were placed on the chin, cheeks, between the eyes, and on the forearms. Many women considered these tattoos as a form of beauty and a way of driving away bad spirits. Some even believed that they had medicinal powers. 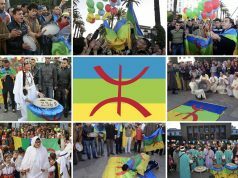 With the spread of Islam, the tradition’s popularity has waned among younger generations of Amazigh and Bedouins. Some older women are now even choosing to have tattoos removed since they now believe that having tattoos on their bodies is against God’s wishes or haram (forbidden) in Islam. Although Islam forbids tattoos because they are considered a form of self-injury, laws related to tattoos vary by country. For example, in Iran, there are no specific written laws that ban tattoos, but the authorities use Islamic law to prohibit the practice. Even though there are no tattoo parlors in Iran, there is a strong underground movement that caters to the wishes of young Iranians to be tattooed. In the United Arab Emirates, having a tattoo done is not illegal, but tattoo parlors are not very prevalent. Currently, Dubai Tattoo and Huzz Ink are the only tattoo parlors in Dubai. Instead of going to one of the few tattoo parlors in the UAE, many foreigners and Emiratis choose to find illegal tattoo artists through social media, an action that can lead to doing time in prison if one is caught. Likewise, in Jordan although tattoos are greatly discouraged, they are not completely illegal. The first tattoo shop in Jordan, Huzz Ink, opened in 2007 to such incredible success that it opened its second shop in Dubai. Regardless of the complicated laws surrounding tattoos, people are still choosing to get tattoos, either in illegal tattoo shops or in legal ones. Christianity, like Islam, also forbids tattoos, but that does not dissuade Coptic Christians in Egypt from continuing their tattoo traditions. Many choose to get small crosses tattooed on the insides of their wrists or on the backs of their hands. It is a form of identification to show pride in their religion. Traditionally, Egyptian Copts would get tattoos during their pilgrimages to Jerusalem and today, they continue to use some of the same wooden stamps to get their cross tattoos. These stamps are a stencil outline that allow for the artist to tattoo his clients at a quicker pace. 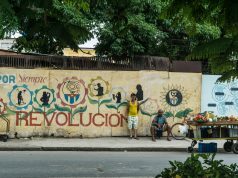 Adults, as well as children, line up outside of their church to get religious symbols tattooed on their bodies, proudly displaying their religious identities. Coptic Christians in Egypt view tattoos in a very different way from the rest of the MENA region. Other Christians and Muslims continue to view tattoos negatively and encourage their children not to get them. Even families which are not very religious will be hesitant to allow tattooing due to societal approbation. People who choose to get tattoos must be conscious of how others will view them and whether or not they will be able to cover up their tattoos when in public. “As an Arab, I would like to have something related to me,” he says. However, Baraa hedges when asked whether or not his family will support his decision. “There are two things that control people: religion and culture. The trick is that culture is stronger than religion,” he says. For his family, that means that regardless of his views on religion or the ways that tattoo culture is changing among youth, his parents will not agree with something that goes against the cultural beliefs of Jordanian society. Meanwhile, his wife is supportive of his decision to get a tattoo and has even offered to pay for it as his birthday present. While religion does play a role in the decision of whether or not to get a tattoo, many youths are also worried about the reactions they will receive from their friends and family. Those who choose to get tattoos either already have the support of their family or they choose to do without it. Some even plan on getting tattoos that they can easily hide from relatives. Tattoo artists throughout the region believe that tattoo culture is changing as more and more Arab youth choose to be tattooed. Mohammed Zoubi is a tattoo artist from Jordan who has worked in Lebanon and Jordan. He caters to a wide range of customers, Jordanian and otherwise. “There is a change in the way Jordanians look at tattoos because it has become a fashion,” says Zoubi, although there is still a large population that view tattoos as haram. Zoubi himself is tattooed and says that he does not care what people say about it. In contrast to other MENA countries, Morocco has many tattoo shops. Alex Gusev is a 30-year-old Russian tattoo artist currently working in Marrakech and Casablanca. He is an artist for Tattoo Studio Marrakech, opened by Samir, which opened its second studio in Casablanca this past summer. His clients are Moroccans and foreigners. Many choose to have words in Arabic, Berber patterns, and the hamsa or hand of Fatima (a stylized hand that represents good fortune). He believes that “Tattoo Studio Marrakech does very much for [the] advancement of tattoo culture in Morocco.” In Morocco, the number of tattoo shops and qualified artists makes it more accessible for Moroccan youth to get high-quality tattoos. Tattoo culture in MENA has swung multiple times from a respected art form in ancient times to its status as haram in the current religious climate. Yet, Arab youth are changing that as more and more choose to get tattoos, both as a symbol of their culture and as a part of a popular fashion trend. Morocco’s Hirak Al-Rif Prisoners Receive Royal Pardon: Beginning of Reconciliation Process with Rif Region?